After the living room, the kitchen is one of the most important areas of the house, especially if you have a large family or small kids. And no matter how hard you try, there sometimes seems to be no way to store everything neatly and in an organised way. 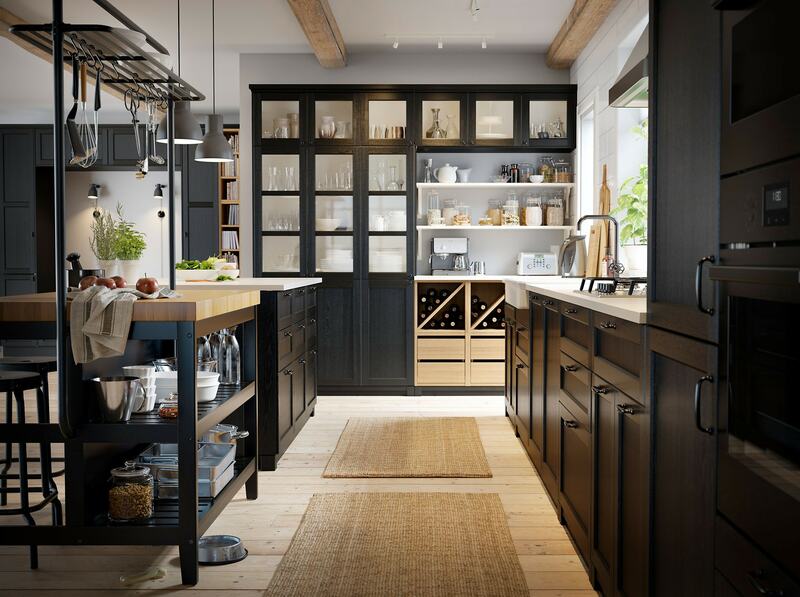 One of IKEA’s main goals is to make everyone’s life a little easier, which is why we have an extensive range of kitchen storage products that you can use to magically double your storage space! Some of the most numerous pieces around the kitchen tend to be cutlery: spoons, knives, forks, and so on. And dumping them all in one shelf is asking for disaster. Instead, check out some of IKEA’s simple trays and racks – we have utensil trays, cutlery trays and even knife trays and pot lid organisers that will make storing different kinds of cutlery and utensils extremely simple and easy! Most people just arrange things in one layer inside cabinets. But if you take a look, there is a lot of space on top that seems wasted, simply because you’ve put something – a stack of plates, or a pan, at the bottom. This is where IKEA’s cabinet with carousels and shelf inserts come in. Putting one of these into a cabinet, shelf or carousel magically doubles the amount of space you have to use, because you’re simply putting another shelf inside an existing space! Now, isn’t that simple? This is such a simple hack: If you have large cupboards, consider hanging hooks from rails on the side wall or back. This way you can simply hang up a lot of stuff, like pans and pots, saving a lot of space. And if you’ve got smaller items, those same rails will support IKEA containers inside which you can place items. There are also net bags in which you can put small items and hang them inside! 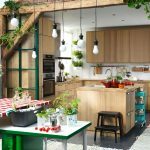 IKEA has a wide range of kitchen islands and trolleys that come with multiple shelves and storage options. But these can be used in a couple of different ways too: one way is to use a kitchen island with a flat top as a small table – this can be for a cosy breakfast or a quick snack. Another way is to use the trolley as a serving trolley, so you don’t have to keep popping back into the kitchen for refills. With all these space-saving tips, you’ll be maximising your kitchen space in no time!